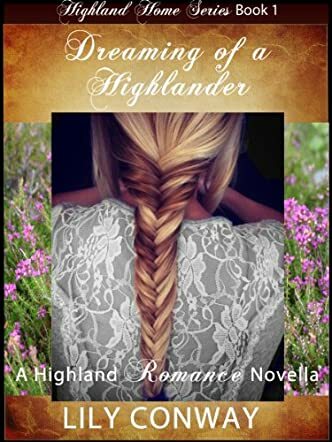 Dreaming of a Highlander by Lily Conway is a historical romance novel which introduces readers to life, love, and tragedy in England and Scotland during the of Battle of Culloden in April 1746 to 150 years thereafter. Katrina Kelly is a highly respectable and hard working maid at Brampton House, but when she starts to slack in her daily duties and become sickly, the entire house and staff become greatly concerned. Katrina dare not tell them that her illness is due to lack of sleep caused by a handsome male visitor who is causing her restless but lustful dreams during the night. As weeks go by, Katrina remains sick and the dreams continue, and she does not begin to perk up until she gets an unexpected letter. Katrina has inherited a cottage in Scotland that is related to her dream visitor. Katrina now has to decide if she will move to this cottage and seek the truth about her dreams. Are they real or just a figment of her imagination? Author Lily Conway has written a charming story mixed with historical facts and romance. The historical facts, although briefly explained, are very intriguing. The author allows the reader to gain information on living in the time period, describing much of what was eaten, worn for clothing, marketed, used for transportation, and home décor. The main focus of the plot is on four characters, Katrina and Andrew (the dream visitor) and two other servants of Brampton House. The book introduces strong relationships, that of a mother/daughter influence and of course that of two lovers. Dreaming of a Highlander is a page-turner filled with emotions that will make your heart want to melt.